Should You Buy a Dash Cam? If you’re someone who loves to watch viral videos on social media, you’re going to be familiar with dash cam videos. You know the ones - car crashes caught on camera through the windshield of a car, massive explosions in the distance from the perspective of someone inside a car, or race videos showing sports cars passing each other on the interstate. Dash cams are a popular device, especially overseas in areas like Russia. That’s where a majority of the dash cam video content comes from, although there’s nothing extraordinary about Russian drivers that makes them exclusively recordable. Would a dash cam be of benefit to you? What do you stand to gain by equipping your vehicle with a dash cam? To understand if a dash cam is of benefit to you, knowing how it works is important. Typically, dash cams aren’t mounted on the dash but rather mounted by the rearview mirror. They record with a wide-angle video lens to capture footage directly in front of your car. They are usually battery-operated but can be optionally hardwired as well. Many are GPS-enabled to provide speed travelled on the screen. You can configure most dash cams to suit your needs. If you want to turn it on and off manually, you can do so. If you want to monitor your surroundings while your car is parked, many have a parking mode to make that possible. Some turn on and off in relation to your ignition cycle, while others yet are enabled by motion as determined by GPS. Video records onto a MicroSD card, some with nearly limitless capacities. They are able to be used for extremely long recordings, like tens of hours or more. Who Should Buy a Dash Cam? Dash cams appeal to a wide array of demographics. Here are a handful of examples of why it’s handy to own a dash cam. If you identify with any of them, maybe you should buy a dash cam yourself! Everyone knows someone who has been in a dispute over liability in a car accident, or has been in the situation themselves. Someone crashes into someone else, and no one wants to take the blame for the collision. If you have a dash cam, you can record who is at fault in the accident for proof to the authorities. It’s also great if you’ve just witnessed a collision in front of you. You can come to the rescue, offering the evidence needed for a clear determination of fault for the involved parties. Because the video is recorded on a microSD card, you can send the video file by email to anyone that wants it. Or you can send it to a viral video site – your choice. Have you ever come out of the grocery store and found a scratch on your car that you’d swear wasn’t there before you went in? Review the footage on your dash cam. If you set the cam to parking mode when you leave your vehicle, it will record everything while you are away, showing you exactly who veered into your vehicle. With any luck, you can catch a license plate number and go after them for the damages. It’s also fantastic to have in the event of a vehicle break-in. Let’s just say that thieves aren’t always the smartest and won’t necessarily discover the dash cam recording their felonious actions. Catch the thief’s pearly whites on camera to show the authorities, or if the thief has a little more sense, they’ll see the dash cam and target a different vehicle instead. If you’ve got teenage drivers (or older children) that borrow your car, you’re bound to be worried about how they are driving and treating your car. When you have a dash cam, you can record where and when they are driving along with how they are driving. If they are speeding, the GPS-enabled dash cam will let you know how fast they were going. Did they go somewhere they were forbidden? Yup, you’ll know that too. Were they out past curfew with your car? The timestamp will tell you for sure. There have been a few trends popping up whereby miscreants attempt to hit paydirt by defrauding drivers or insurance companies. Either intentional car accidents or pedestrians intentionally getting hit by your car - yes, you read that right - have become a way for underhanded citizens to swindle thousands of dollars from people who couldn’t prove the ill intent. With a dash cam, you’ll have proof that an accident was staged or a pedestrian intentionally threw themselves in front of your car. It’s frightening to think it could happen, but if you don’t have a camera to record the action you could be targeted for such a fraudulent action. Along with jaw-dropping accidents, you can capture truly amazing footage on a dash cam. Whether you see a person chasing a vehicle without a driver, a massive explosion, a meteor crashing to earth, or a UFO landing in a corn field, you’ll have video proof of the occurrence and not just some crazy tale that listeners will dismiss. 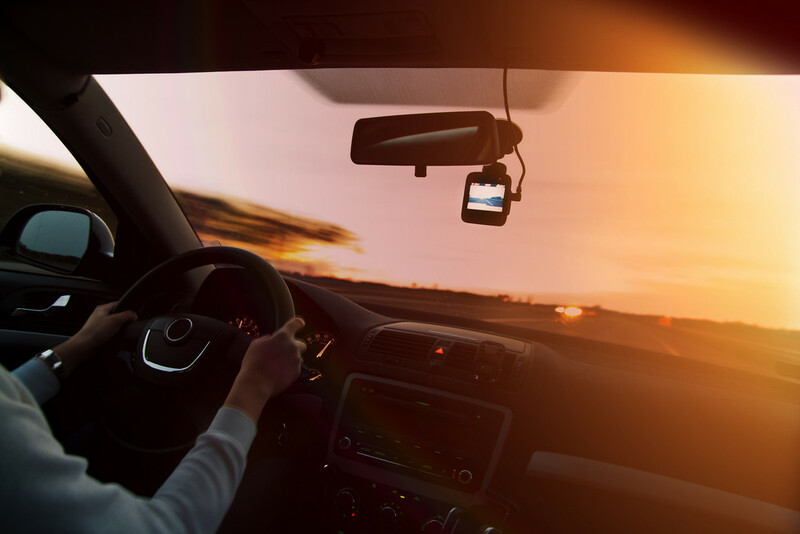 While dash cams are not a necessity to have in your vehicle, there are several reasons that it can be of benefit to own and use one. Dash cams are available for all price ranges, from a basic, inexpensive model all the way up to high-grade HD-quality recording devices. Q: How do you change the language on the rear view monitoring system? Q: Where is the ignition switch harness located? Also, what color wire and gauge are the ignition accessory wires for this vehicle?